Ekaterina Makarova: Why can't she get fired up for tournaments that aren't majors? 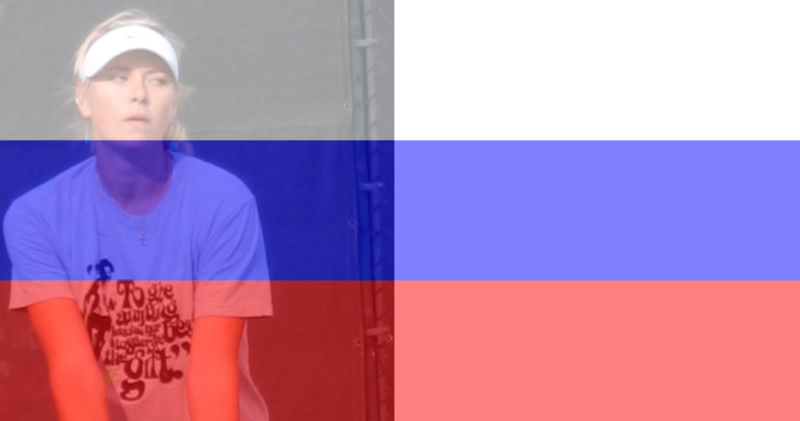 With the exception of the French Open, the tricky lefty-serving Russian is practically a fixture in the second week of a major, but close to nonexistent at other times. Petra Kvitova: Has she really done the healthcare consulting that she needs to do? Asthma and respiratory weakness are deadly for athletes, and I can't help but believe that there are treatments the Czech star hasn't tried. Her countrywoman, Lucie Hradecka, had some of the same problems, and she resolved them with dietary intervention. There are a lot of ways to approach chronic illness, and it always troubles me how few of them people attempt. As for Kvitova's other issue--going to pieces in the middle of matches--she was working with a "mental coach," but I don't know if she is still doing that, nor do I know what level of competence the practitioner has. I would like to know what type of psychological interventions are being used with players. Maria Sharapova: Can't she come up with something new when she plays Serena? At this point, Serena can practically phone it in. Sharapova is a smart player--surely there's another way to try to solve the Serena problem. Tsvetana Pironkova: Known on this blog as the Bulgarian Woman of Mystery, Pironkova has a great backhand, and--when it's working--a very tricky serve. Her forehand slice, though laughed at, can be effective, but the rest of her forehand is another story. Here is another very good player who needs some special help, but just doesn't seem to get it. Simona Halep: Halep says that Ilie Nastase says she plays for Porsche, but, she protests, she plays for Romania. Maybe try playing for herself? Though Halep keeps as low a profile as possible and speaks with quiet conviction, there seems to be a lot of drama surrounding her all the time. There's the patriotism plot, the sudden stardom plot, the coach-changing plot. It can't be easy for Halep to have emerged (finally) as an elite tennis player. I think she is deeply talented and hope that she can narrow her focus enough to win big titles. Sabine Lisicki: She has a huge serve, she has a lovely drop shot, she can construct points. But the German player cannot connect emotional balance with the demands of competition. That's something that can be fixed, but so far, it hasn't been. Eugenie Bouchard: Do I even go here? There's no WTA award for Mysterious Phenomenon of the Year, but if there were, Bouchard would win it. *This post originally included Sara Errani's serve, but I have been informed that her shoulder issue is apparently much worse than I was aware of, so I've removed that part of the post. However--given the number of players who have had to modify their serves because of shoulder and back issues, I still wonder whether Errani is serving optimally within the confines of her limitations. When I was a kid, the narrator of that show creeped me out. He's probably a nice guy...but the combination of the unsolved cases, creepy sound track, and his very serious and intense mug... Recipe for child-scaring. Probably Robert Stack. I once read that he didn't realize his role in Airplane! was to send himself up. Says a lot. Don't forget Ana Ivanovic and Svetlana Kuznetsova. I think that Sabine and Sloane are similar in that they are more attracted to being well-known than being known as champions. They're the type (think Fernando Verdasco) who have all the skills, but are content to be Top 20 players. Sure, they'll have bouts of motivation, but I don't think they are the type to be consistent champions even though they have the talent to be. Regarding Simona and Kvitova...I'm not sure if it's bc English is their second language. But I don't think we get a full picture of their personalities. Even though Simona has a placid exterior, I think there's a lot of inner turmoil. I'm not sure the cause, but I think a symptom is her (IMO) fickle nature. She changes her mind a lot, always with the purpose of keeping things fresh and "enjoying." Kvitova is the most confusing to me. She is perceived as being sweet and calm...but given her relationship history and the way her matches go, I don't think she is. I don't think being a champion is what drives her either. However, I think that she will have a career similar to Venus's. 5 or so Wimbledon titles and 2ish somewhere else -- my guess: Australia since she seems to like it there and it's the start of the year so she's mentally fresh. None of these comments is meant to attack anyone's character or to be judgemental...I have never met any of them in person. I just wanted to write about (how I view) their public perception. Kuznetsova and Ivanovic are perhaps beyond mystery. I think Kvitova is seen as sweet and shy, not necessarily calm, though. She is very well liked and obviously is a class act. Being a lefty does her no favors in the anxiety department, and then there's the physical fragility. I also believe strongly that the two are related--and could be fixed. It's frustrating to see her crash out when you know she can win and win. I agree about Halep. My best guess is that she has never before had to call so much on her own authority and all the decision-making has worn her down. Some people are better able to cope with change (and fame) than others. She says she's exhausted. She has a ery physical game, and then she has all of these life adjustments. I remember back when a young Czech player struggled with her weight, her emotional balance, culture shock, and personal fears. She had a very hard time of it. Her name was Martina, and it all turned out pretty well for her. I hope that Petra and Simona get the support they need. Petra has M.N. in her corner, which is a very good thing. Diane, do you really think having someone like Martina in Petra's corner is a good thing? Seriously? The woman is as critical as they come. I can't even imagine having a discussion with her about whether it is raining or sunny outside. As to your queries, the one word that sums up all of these players is inconsistency. They are not consistent enough in their games, their approach to their careers, or even their approach to life. They struggle with the most basic aspect of their games. You see it with the on court tantrums, the negativity when they call the coaches down courtside to help them figure stuff out and even the way how they present themselves to the public. I wish they had more confidence in themselves and their abilities but there you go. I think it is something that affects everyone who can be considered an artiste. There is that thing inside you that tells you that you have to be perfect all the time, that every shot needs to clean the lines and even when the shot is not cleaning the line you keep going for it because darn it, it has to connect at some point. You ask whether Sharapova can do something different to beat Serena. The outcome of these matches are not on Sharapova's racquet. They are on Serena's racquet so it matters not what new strategy Sharapova comes up with, it will not work. She has tried different strategies. In Australia this year she used the drop shot to great effect, however, when the shot that you have the most control over fails you at critical times then you just don't have a shot, especially against a player who has all the confidence in the world that that shot will never fail her. I don't know if having Navratilova as a formal part of the team (though I've heard she has made an offer) is a good idea. I was referring to the emotional aspect--Navratilova has an obvious fondness for Petra. I also don't see the overly-critical part that you see, which means nothing at all--just that I don't see it! I agree with you completely, Karen, about the overall inconsistency and lack of confidence. I guess it's my professional self talking--I think these kinds of things can be fixed, and they just don't seem to get fixed in the WTA. I also agree that the outcome of the matches is on Serena's racket, but--with all respect to Serena--I'm not sure it should be--not 100% of the time. Sharapova has never been the same since her shoulder injury, but she's also no dummy and no slouch. The drop shot is a good strategy, but it would take more than one new shot to get into Serena's head. Body-serving her is a no-brainer, since her only "weakness" is in her feet. Someone with a really varied (and accurate) serve could mess with Serena, but that player would also have to play a very clean game. Hard to do because Serena maks her opponents take so many risks. I didn't mean to imply physical causality, just correlation. True, it's the toss part of her serve (can't have a serve without a toss) that went off after the injury. This is exactly what happened to Elena Dementieva, despite what the revisionists in the commentator booth say. The injury affected Sharapova's serve in that she was no longer confident about it, so the toss went awry (just like Dementieva). Dementieva, toward the end of her career, was able to make the correction (also ignored by commentators). It does seem odd that Sharapova--who used to have a wonderful second serve--hasn't been able to overcome this. Sharapova has the yips. In pressure moments, the serve goes. It happens. As a league player, no matter how many times I serve well in the warm ups as soon as competition starts it goes away. She needs a sports psychologist (I am sure she has one on call). She does the breathing exercises, the time between points etc. For whatever the reason it just does not seem to be working. To her credit she makes up for the deficiency with one of the best return games on Tour. Unfortunately, she goes up against a player who does everything that much better. It is life. Same thing happened with Roddick against Federer, Federer against Nadal etc. Frankly speaking Sharapova forced Serena to be better. Serena knows of what she is capable so she makes sure she brings her best. For me that is the epitome of that rivalry and her rivalry with Azarenka and her sister. Serena just brings her best, and sometimes not even her best. She just plays at a level higher than most players can reach right now and for me she should be commended for that. Agreed. Serena just knows how to win. I also think that players who challenge Serena are those who can play defense and offence. Sharapova lacks the athleticism and the defensive shots needed to hang in a rally long enough to frustrate Serena. As for the others I think it's a case of consistency and belief. I also wonder, based on Ben Rothenberg's piece for the New York Times on body image, how many of these women are willing to put in the work (for fear of not looking like women)to be as strong or as fit as they need to be. I don't know if I even buy that argument, and wonder if it is a red herring. Women just don't acquire muscle the way men do unless they are power lifters or--in a few cases--born with a tendency to build muscle more quickly. And if they're bothered by having any muscle at all, why are they professional athletes? (and why aren't they more concerned with their health?). All of the top players have toned bodies and are muscular, and they all "look like women." That includes Serena, but she is singled out, I think, because she is a larger woman, a black woman, and she beats everybody. How dare she. When a non-white, non "model"-thin woman dominates, people don't like it. And good point, Sabey, about someone needing to excel ib both offensive and defensive skills.